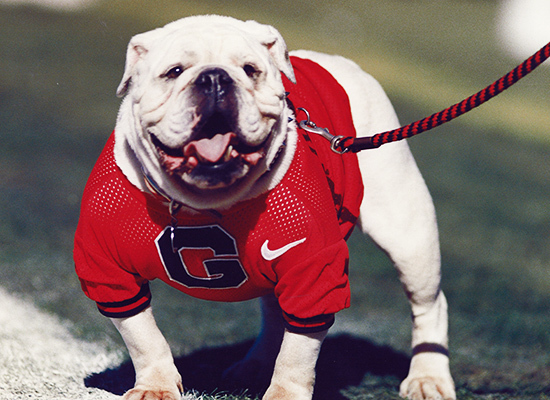 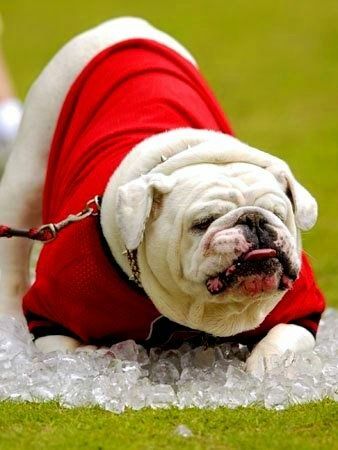 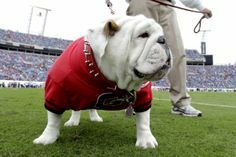 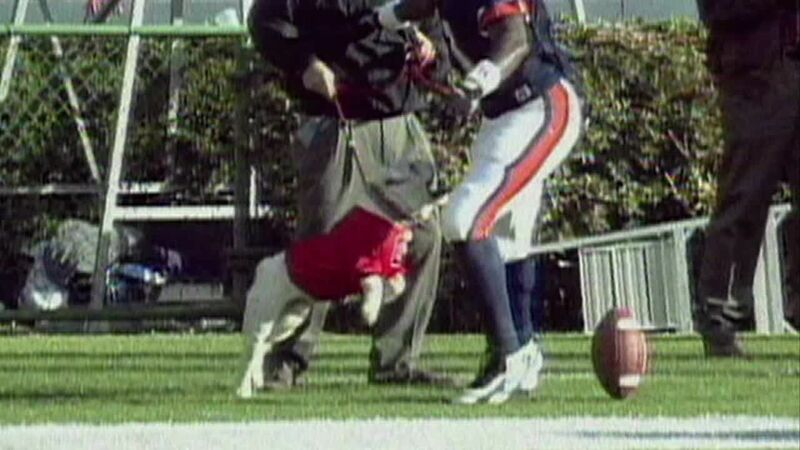 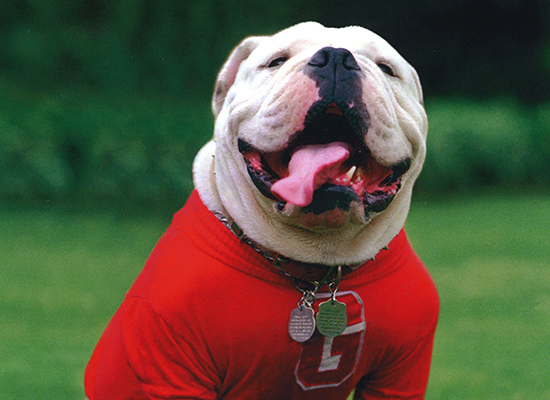 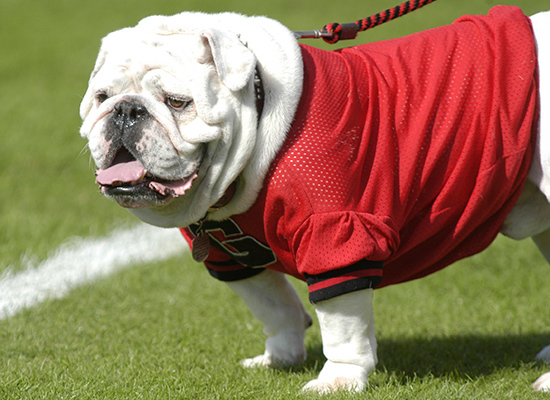 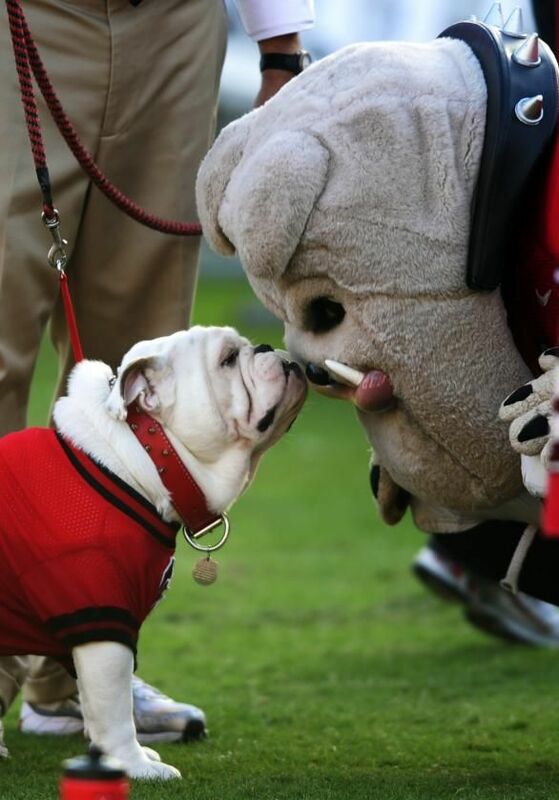 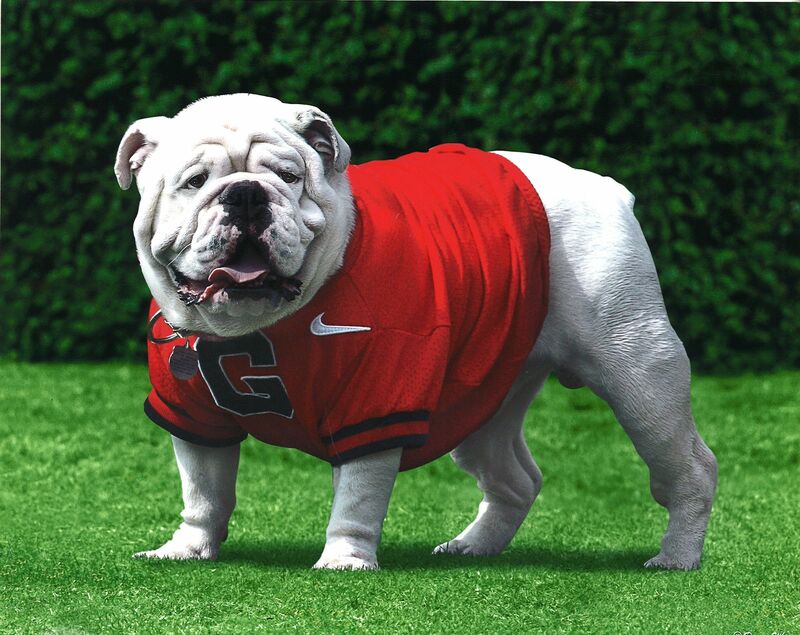 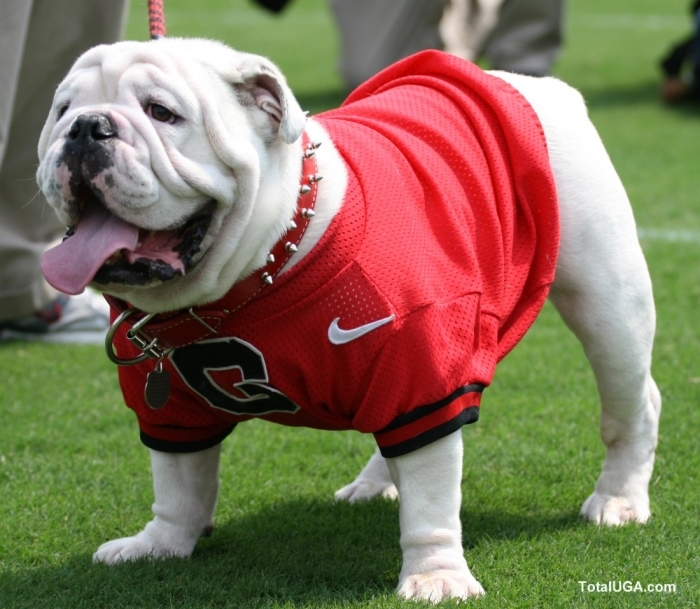 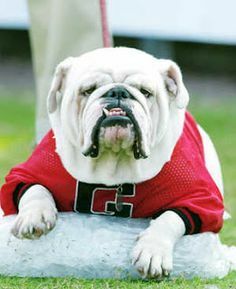 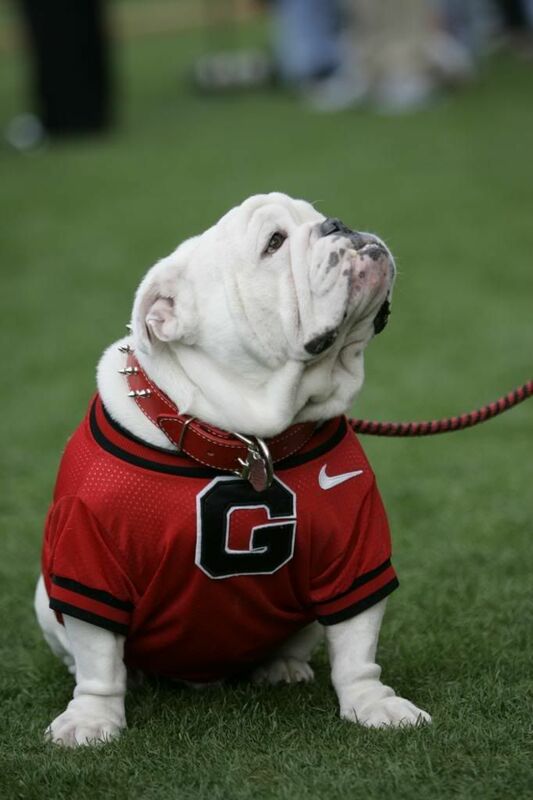 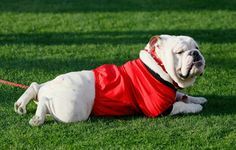 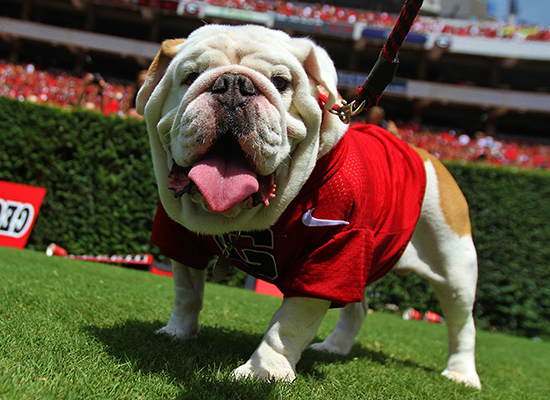 In 2007, Uga VI became the winningest mascot in school history with a record of 87-27. 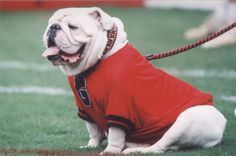 He reigned over more games than any other mascot at 114. 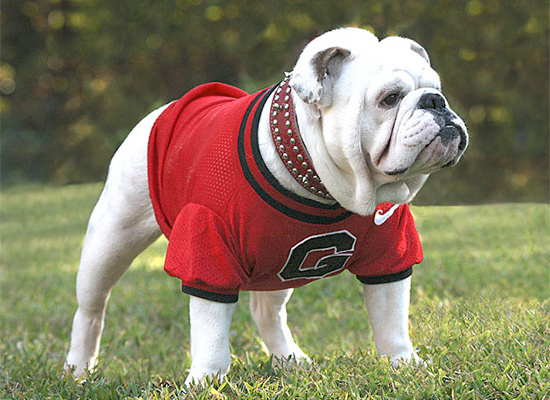 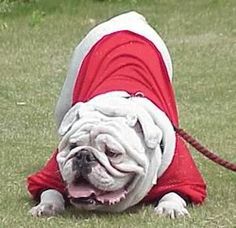 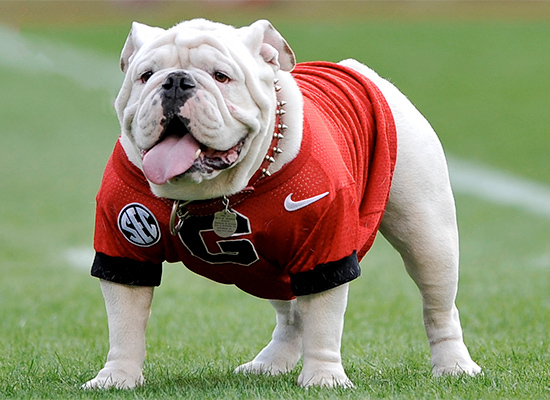 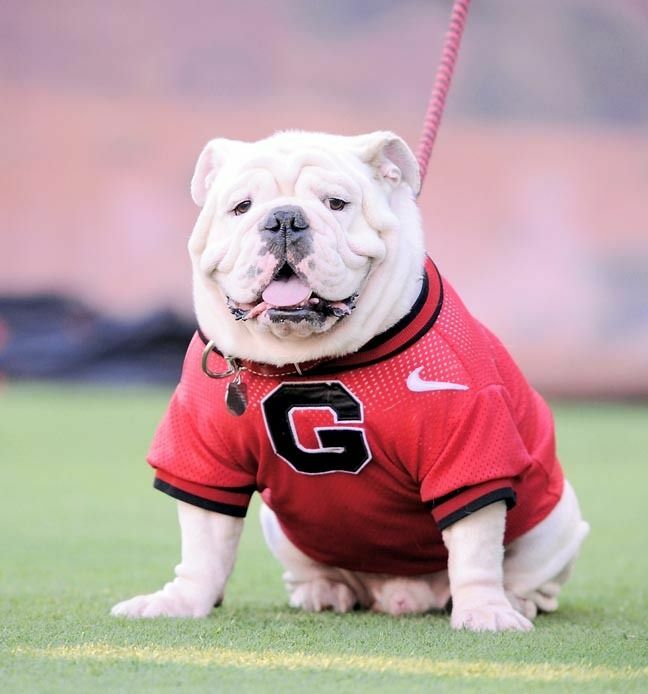 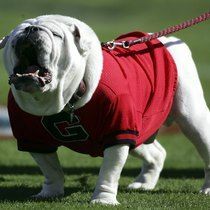 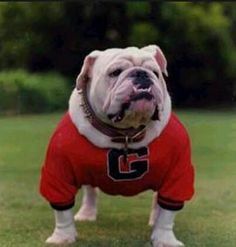 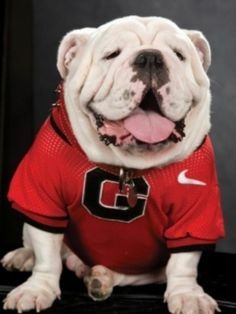 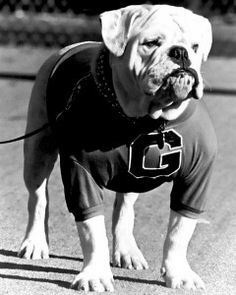 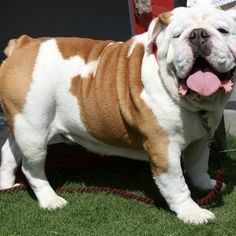 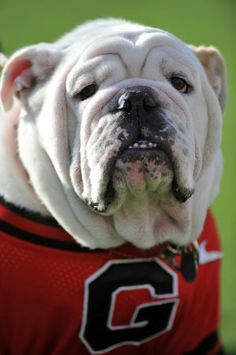 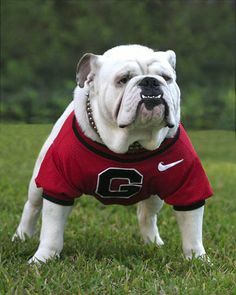 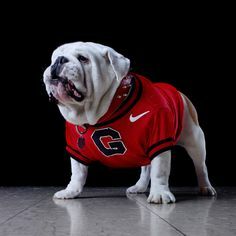 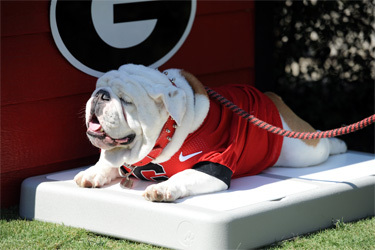 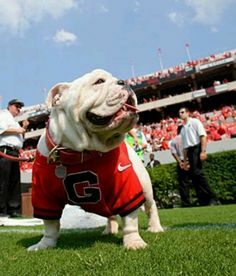 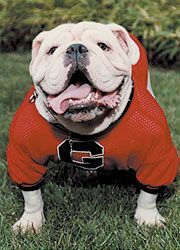 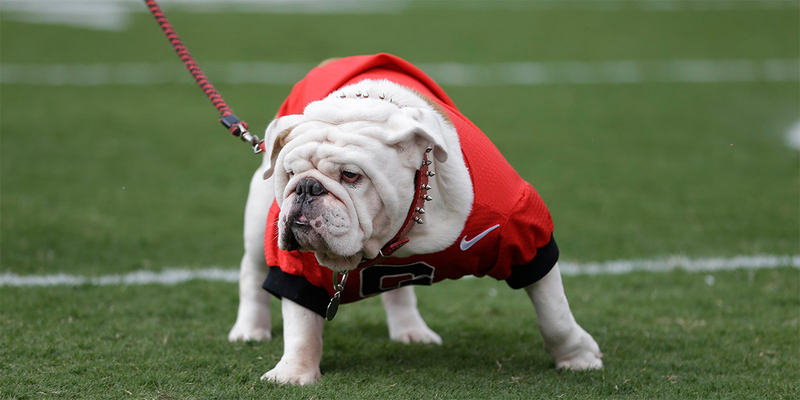 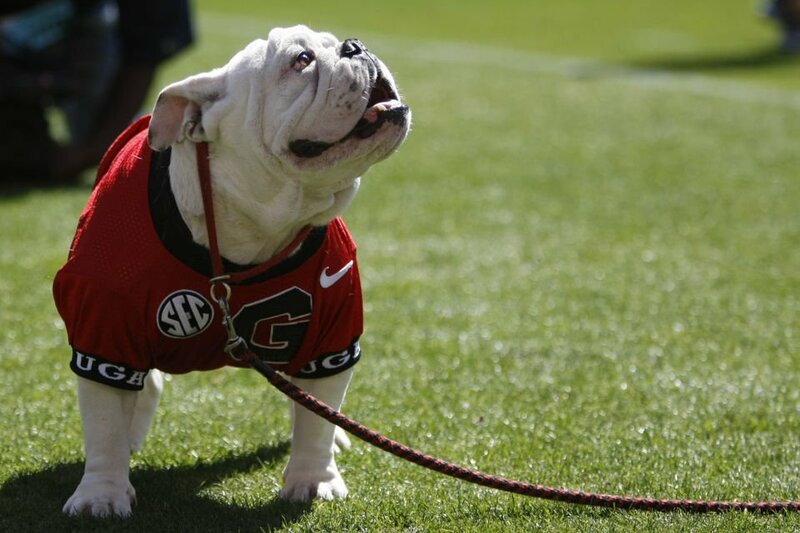 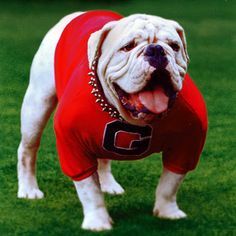 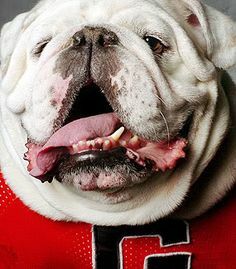 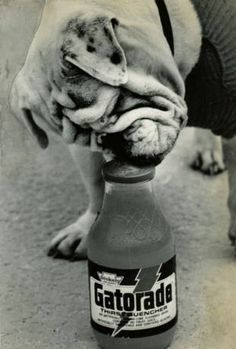 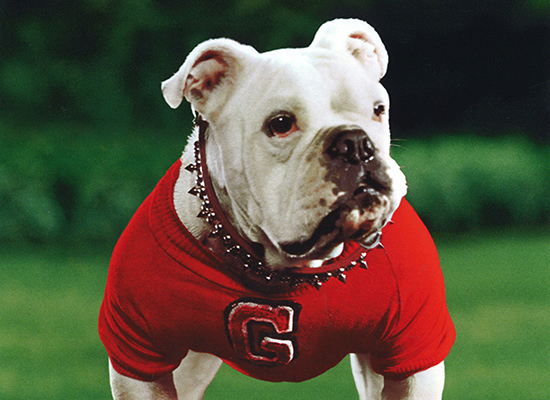 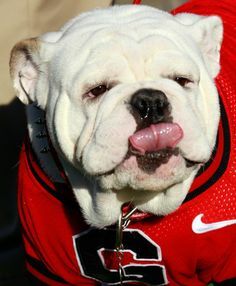 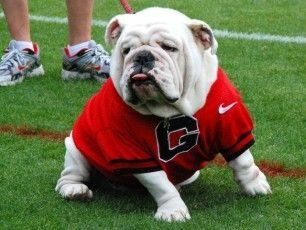 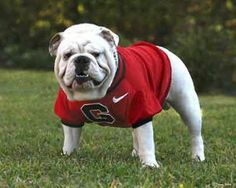 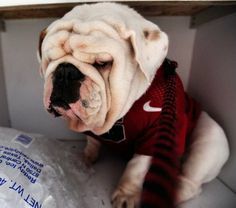 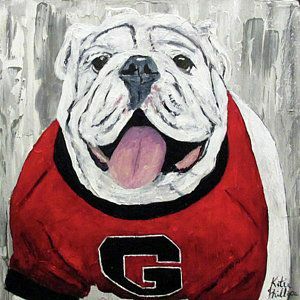 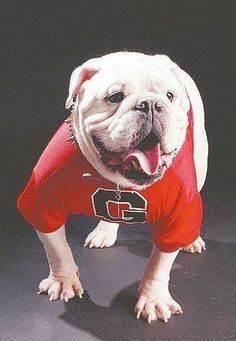 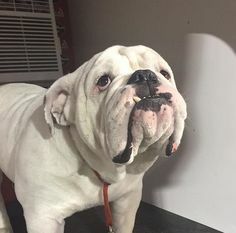 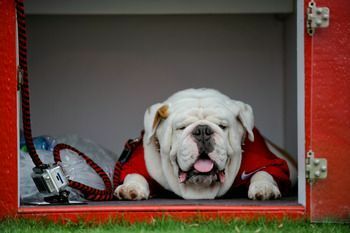 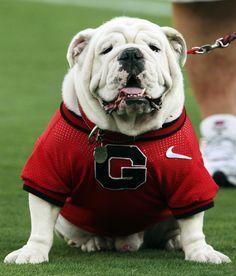 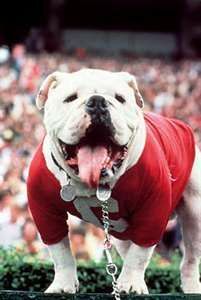 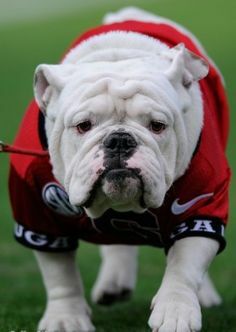 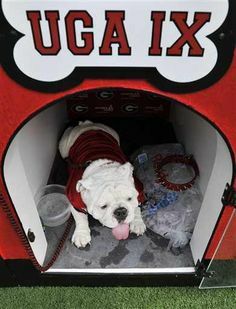 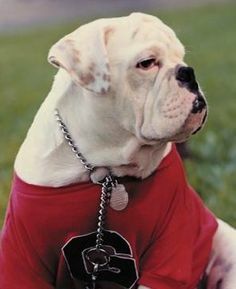 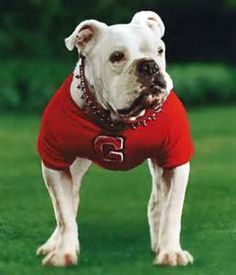 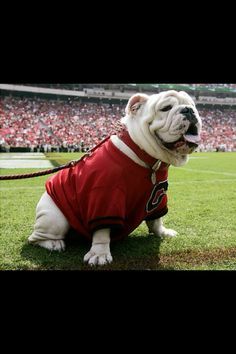 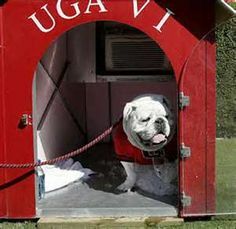 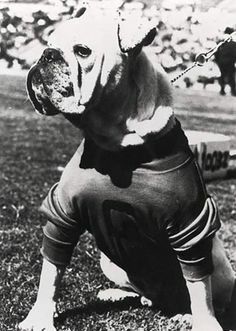 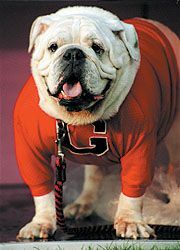 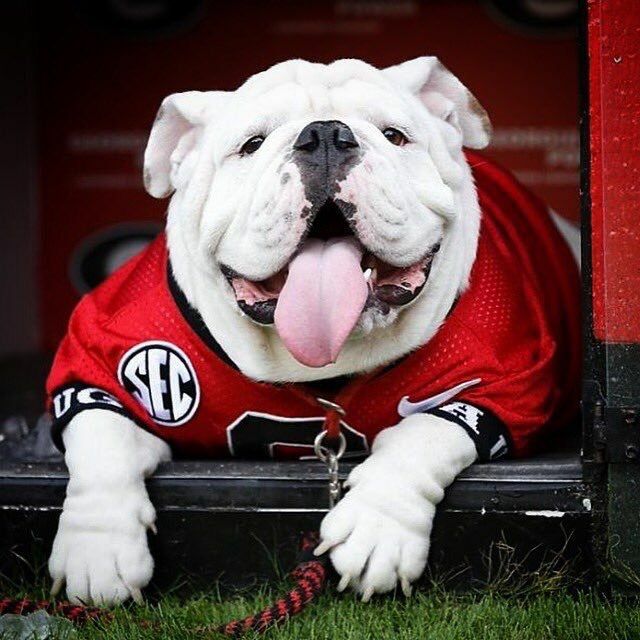 Uga VII, Georgia Bulldogs mascot. 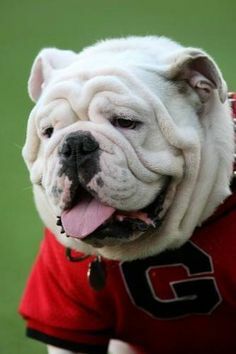 Georgia Bulldogs mascot Uga VI bares his teeth for the camera. 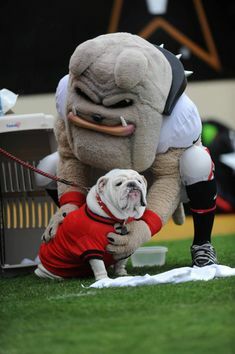 Best UGA and Hairy pic ever!! 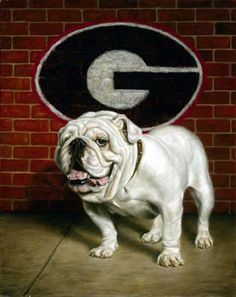 It's a framer indeed! 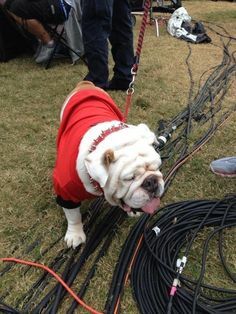 Georgia Bulldogs mascot Uga VI, always the vocal and spirited fan, barks from the sidelines. 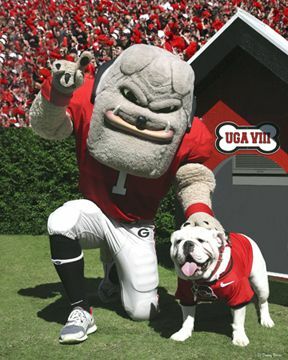 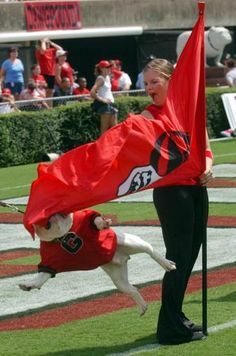 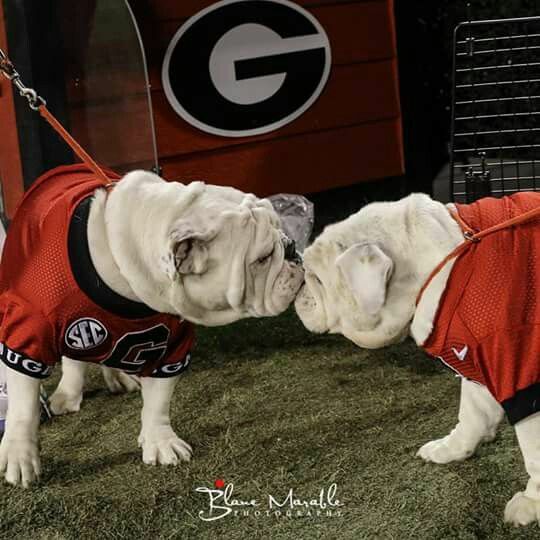 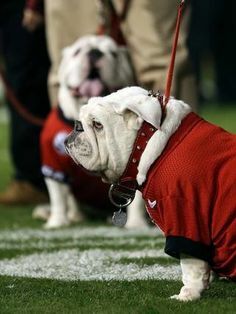 Russ (UGA IX) & QUE (UGA X) who is his grandson as Que took over as the official mascot and Russ retires. 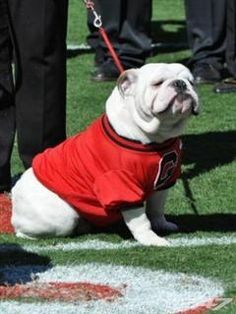 Georgia Bulldogs mascot Uga III strikes a regal and handsome pose. 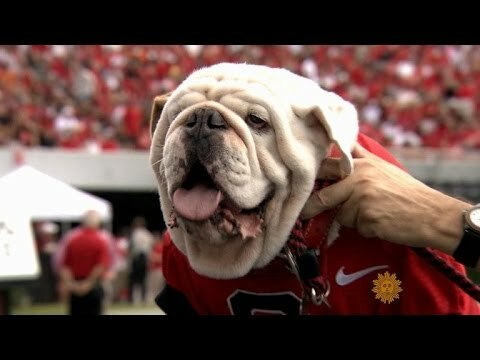 Georgia Bulldogs mascot, Uga V, gets fancy with a dog tuxedo. 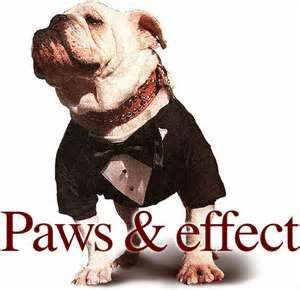 The occasion? 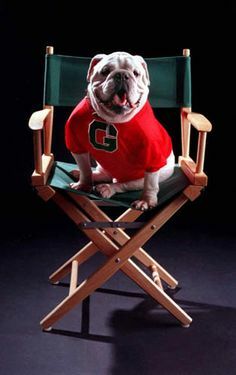 A screening for the movie "Midnight in the Garden of Good and Evil." 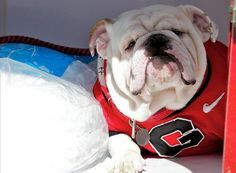 Georgia Bulldogs mascot Uga VI watches the Dawgs play. 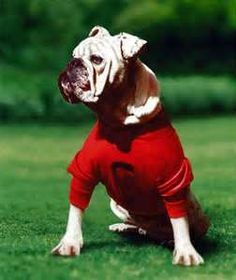 Georgia Bulldogs mascot UGA VII poses for a photo. 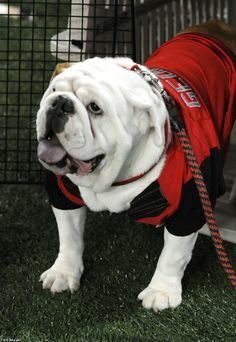 Uga V, Georgia Bulldogs mascot. 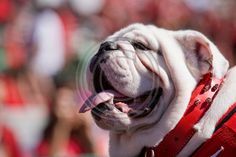 Uga IX: Russ the Georgia Bulldogs mascot is the first Uga to not be pure white in color. 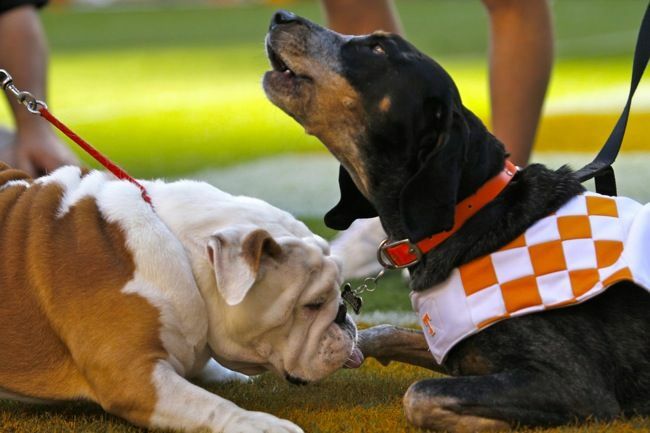 Georgia Bulldogs mascot Uga IX (Russ) checks out Tennessee Vols mascot Smokey IX. 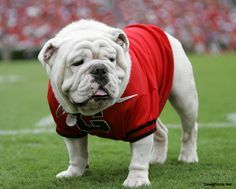 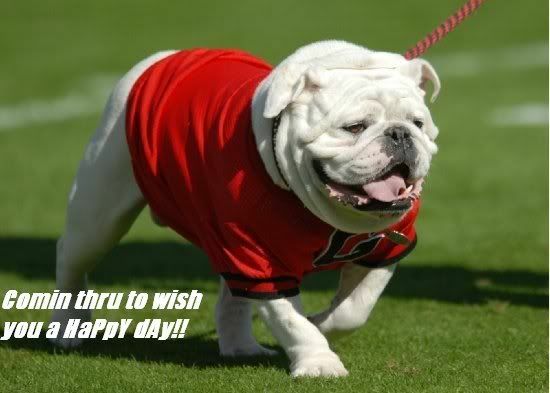 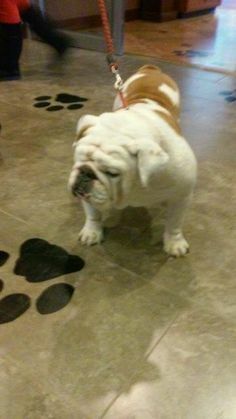 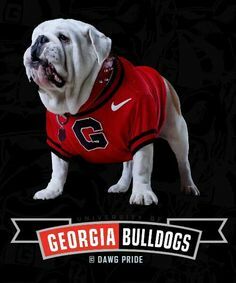 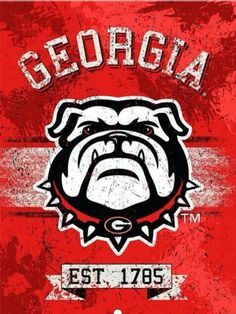 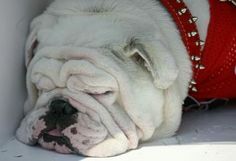 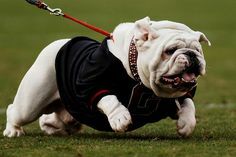 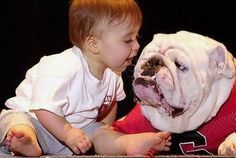 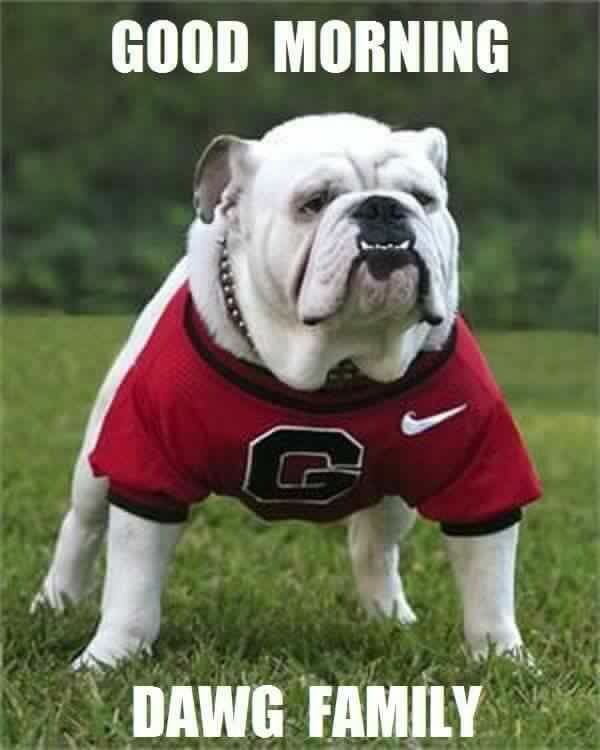 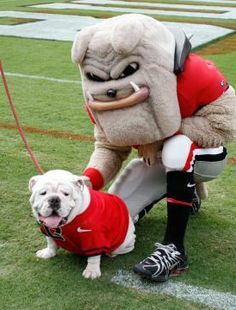 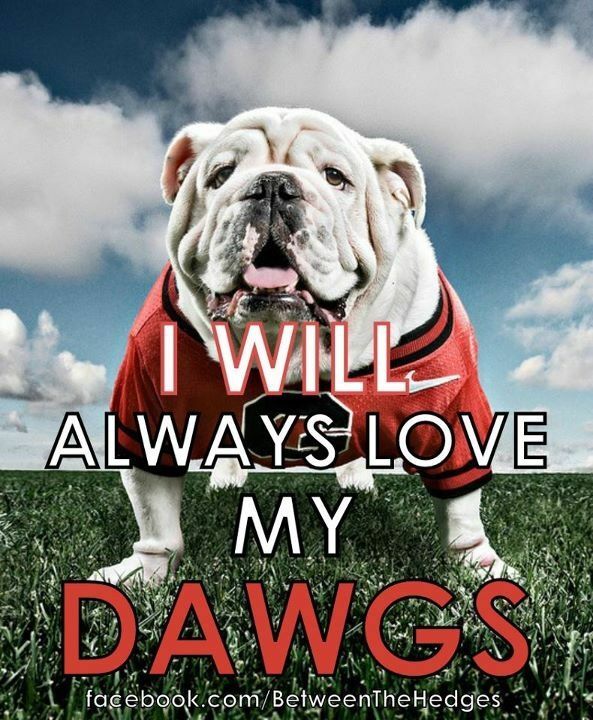 Uga the Bulldog is pure awesomeness!- It's my favorite mascot and the pet is Uga the Bulldog and "Hairy". 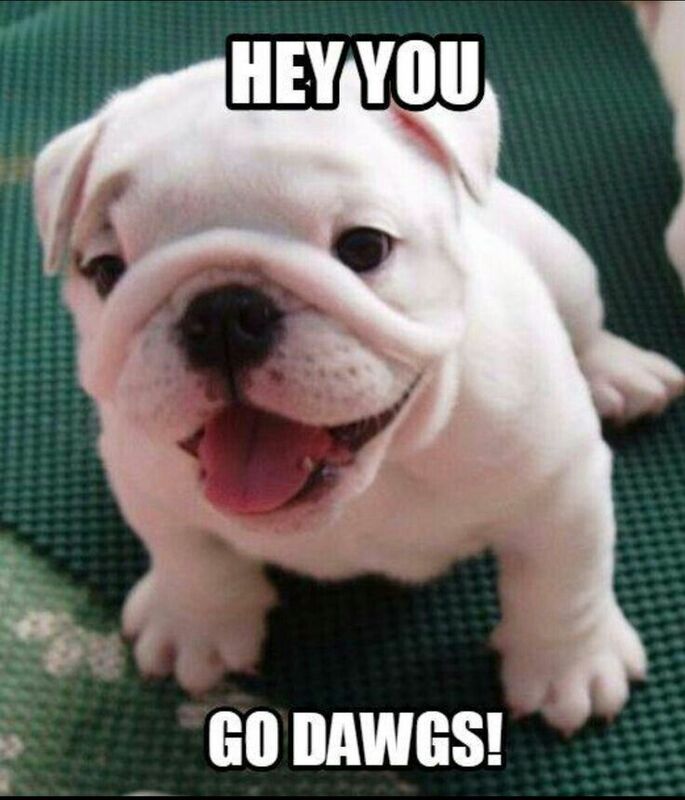 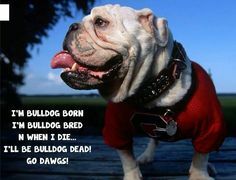 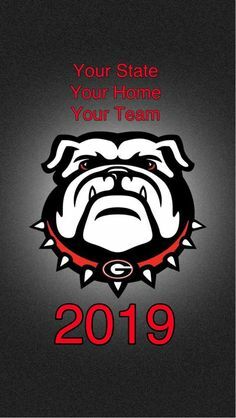 Let's go Bulldogs !, Go Bulldogs !, Go Dawgs ! 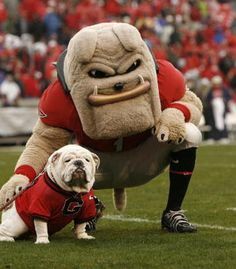 Georgia Bulldogs mascot Uga VI enjoys the company of a young friend.